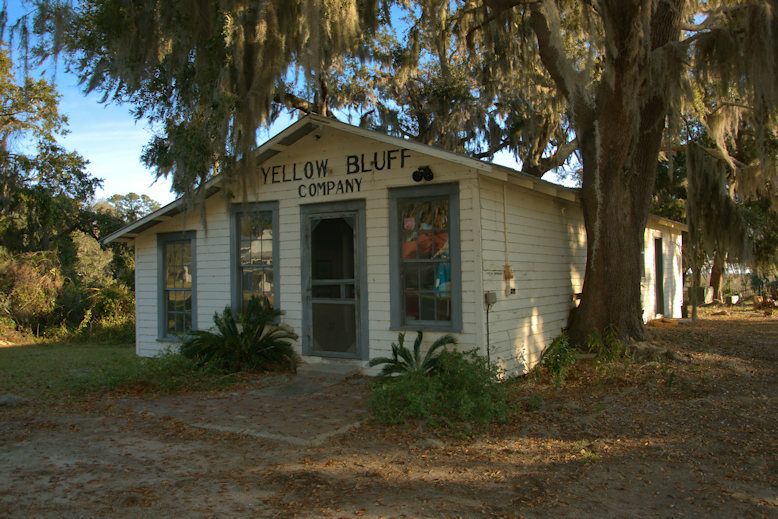 The Yellow Bluff Fishing Camp’s iconic company store survives despite being surrounded by modern development. 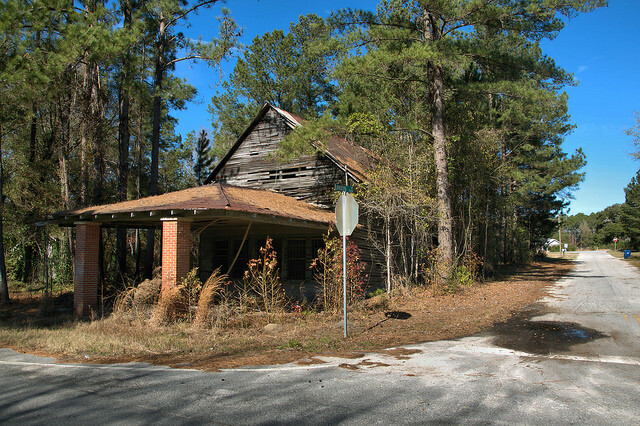 Such structures were once common at fishing camps throughout Coastal Georgia but nearly all of them have disappeared today, due largely to changing land use. 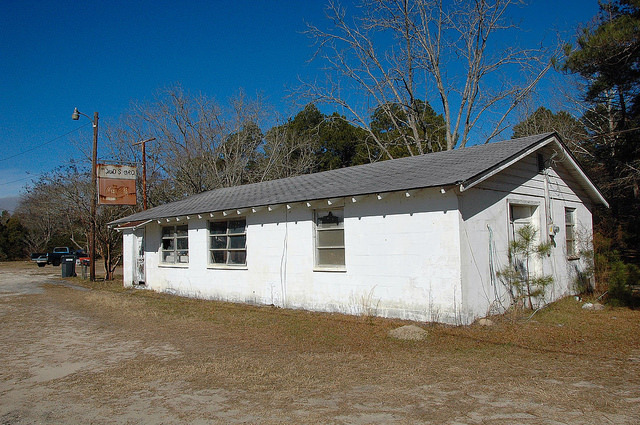 The Yellow Bluff Company established the fishing camp here in 1923 and the store was operating within the first year. 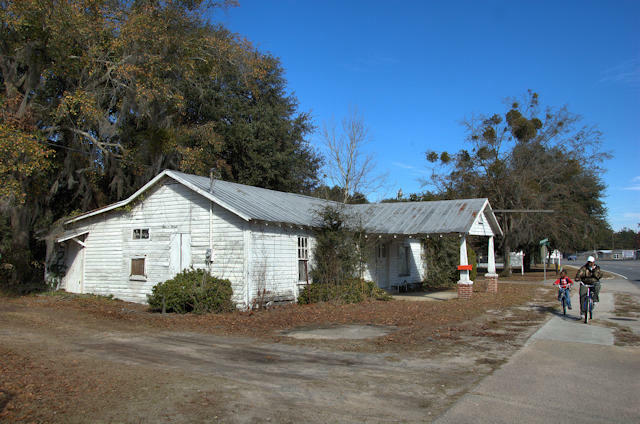 Located between Pembroke and Ellabell on US 280, Lanier was established in 1893 and a post office operated here until 1955. 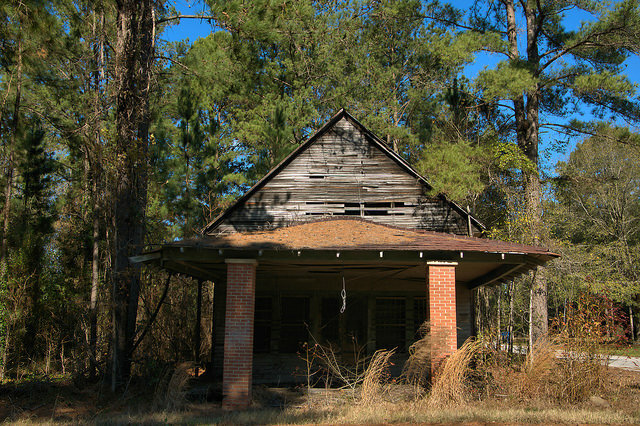 One viewer has identified this as the Stubbs turpentine commissary, but I can’t confirm that at this time. Maxine Todd writes: I love that street. 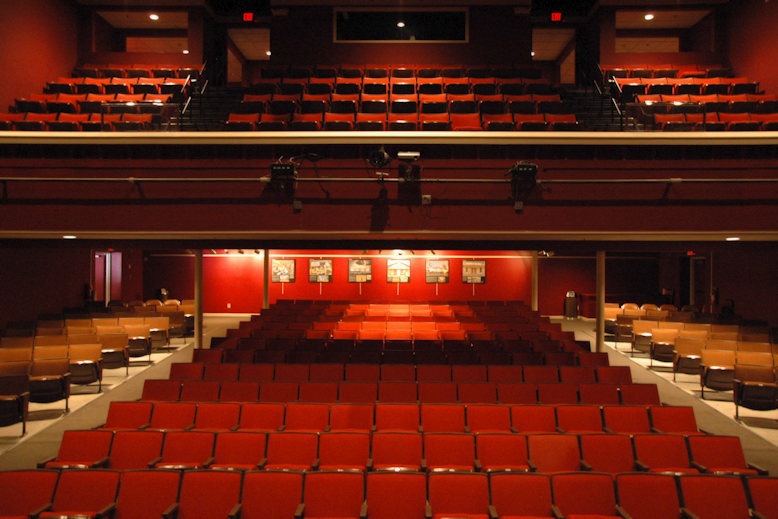 It holds many memories for me. 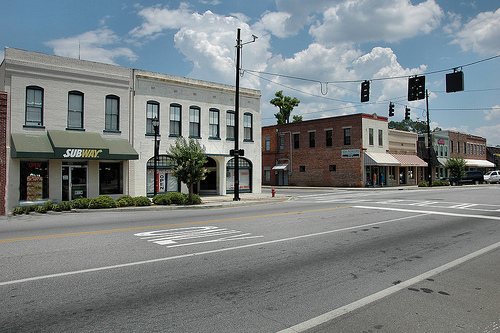 It’s where I stood as a young teenager and waved and shot peace signs to all the soldiers going to Fort Stewart. 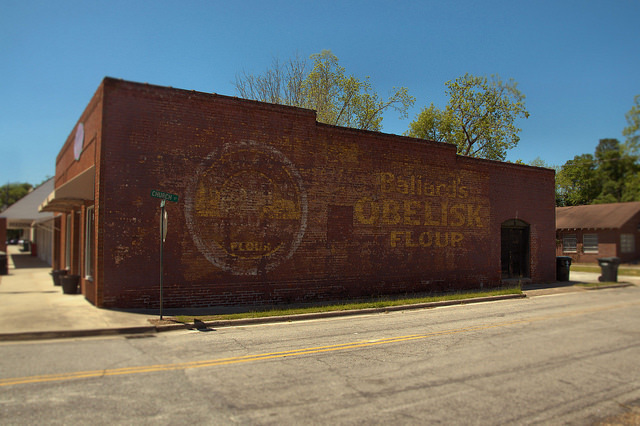 This mural was uncovered in 2011 when the City of Pembroke was working on revitalizing its downtown area. 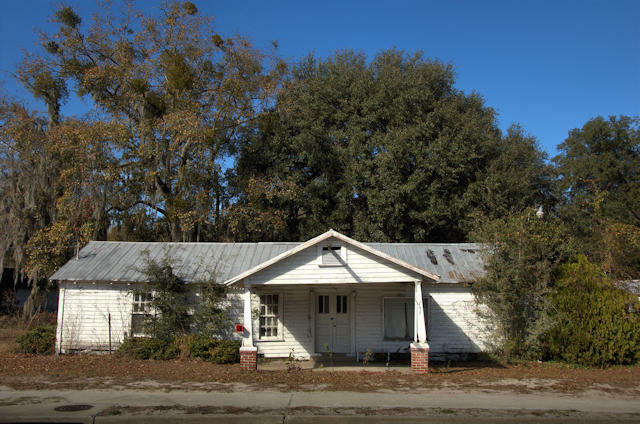 A new mural was planned for this wall, but when workers uncovered this one, it was decided that it was an important asset to the history of the community and was left intact. 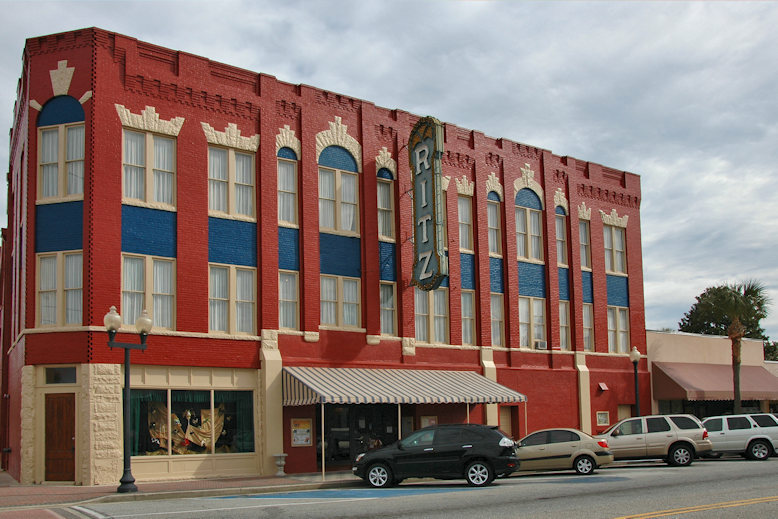 It was a great save on Pembroke’s part, as I’ve seen several historic murals painted over in towns all over South Georgia in the past few years. There’s a similar mural in Ochlocknee, though its condition is not as good.